If men don’t lose anything through women getting equal payment, why are some so opposed to equal pay? 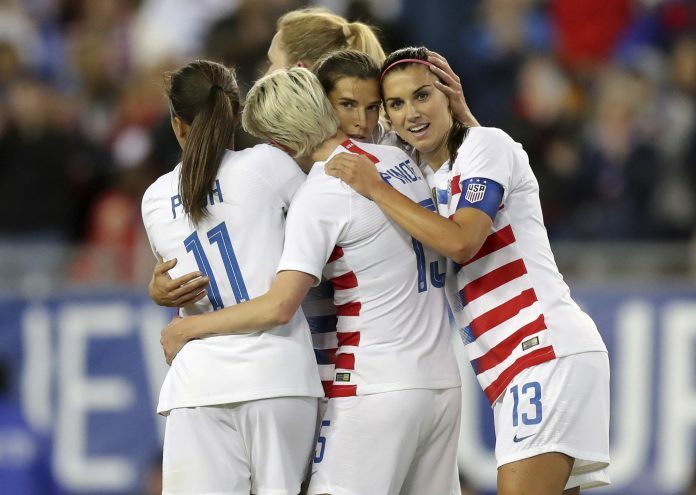 On Friday, March 8 (International Women’s Day 2019), sportswear company Adidas announced that they will be paying equal bonuses between the winning players of the men and women’s FIFA World Cup teams. The announcement by Adidas came with an electrifying response, one that reflects a very old debate between those who believe women athletes deserve equal pay, and those who don’t. This debate doesn’t just stem from Twitter. This is a conversation that has been around for decades, and people still find themselves entrenched in its never ending search for a solution. The idea that men get paid more than women because their leagues get more attention is a recurring argument. But is popularity really such a significant factor if women put in just the same amount of work and even end up outperforming men in the same sport? Moreover, what always stumps me is a question that I personally have never found an answer to: what do men lose if the women athletes in their sport receive equal pay? Funnily enough, all three of these star athletes never said that men in sports need to be “taken down” so that women can be uplifted. Plainly, each individual stated that because women put in the same amount of work as men in the world of sports, both should be paid the same amount of money. It’s fairly evident that if Adidas provides the FIFA Women’s soccer team with the same bonus compensation as the men’s team, the men won’t lose anything. If the women were to receive this equal pay, men wouldn’t receive less money, inhabit smaller houses, or even lose endorsement deals. Men would still have access to all of these great resources. Rather, equal pay would just help women in sports gain equal opportunities. If equal pay between men and women in sports wouldn’t place men at any disadvantage, it’s clear that some men are so vehemently opposed to such advancement for women because they don’t want to relinquish their male privilege. As a result of this fear, these men would rather maintain these unfair economic and social differences than welcome a world where men and women are compensated equally for putting in the same amount of athletic work.